The main reason we picked Majorca was the short flight time from the UK, as it was my two youngest childrens first time on a plane a short flight was a must! We did not know what they would be like flying so the shorter the flight the better for us and Majorca is only around a two and a half hour flight from the UK (2 hours 40 minutes from Newcastle). 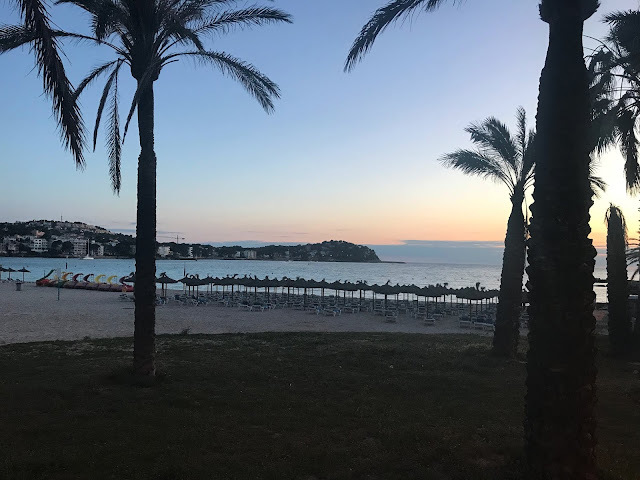 As it is such a popular destination there was also lots of flights to choose from, when we flew we had the choice of two flight times with Jet2 from Newcastle to Palma (the airport in Majorca) with six different airlines flying into Palma from Newcastle on the day we travelled! As Majorca is so popular with British tourists there are so many hotels that are ideal for a family holiday. 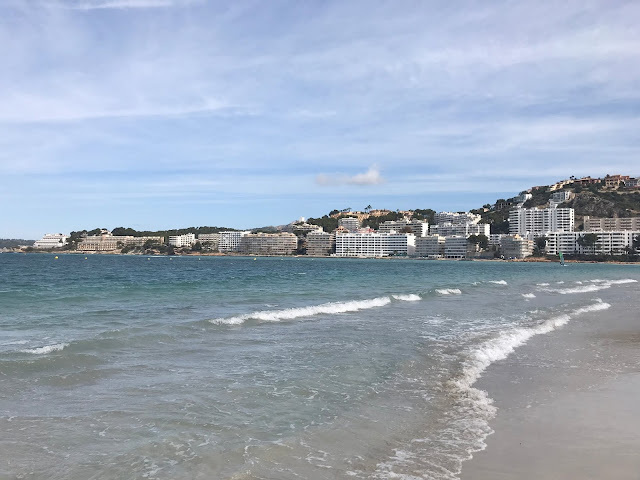 We stayed in Pirates Village in Santa Ponsa, which was so child-friendly and a brilliant hotel I would recommend to anyone. I have also stayed in the popular resort of Alcudia at the Club Mac hotel complex, which again was a family hotel (but which I personally wouldn't recommend). There are so many hotels on the island that are ideal for families, with water slides, mini-discos, playgrounds and family rooms. 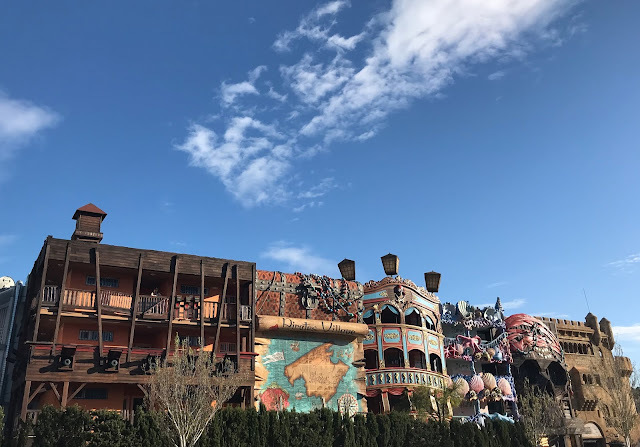 I really like the look of Zafiro hotels for our next trip to Majorca, although the children and my other half are desperate to return to Pirates Village. The beaches in Majorca are lovely with golden sand and the warm, clear blue mediterranean sea to paddle in. My daughter loved paddling in the sea and as it was so shallow and warm she was in her element splashing around and looking for fish swimming around in the ocean. We also loved strolling along the beach on an evening as it was so peaceful. Obviously, as Majorca is a Spanish Island the weather is a lot better than here in the UK. We visited in May, just before the summer season started and the weather was perfect for the children as it was warm enough to sunbathe and swim in the pool but it was not too hot that they could not do anything. 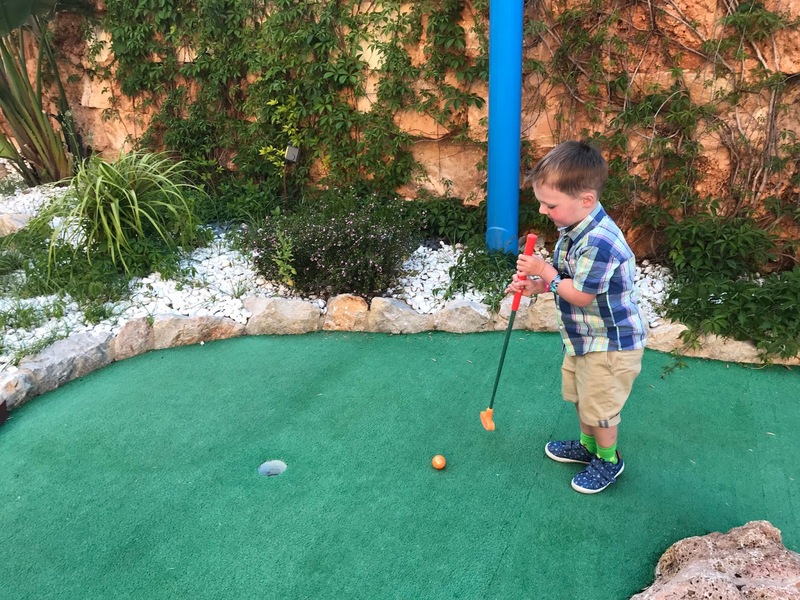 Despite being an island there was so much to do in Majorca from the usual water parks and boat trips there was also more fun stuff for kids too. From exploring the caves of Drac, riding the Soller steam train in the mountains to having fun in the upside down house at Katmandu there is bound to be something to keep children entertained. One of my favourite things to do in Majorca is to visit the legendary Pirates Adventure show in Magaluf, such a fun evening for the whole family to enjoy. We did go All Inclusive on our recent holiday to Majorca, however, we did eat out a few times and I think if I returned I would go self-catering as there were so many lovely places to eat. From traditional tapas and Spanish cuisine to seafood restaurants, Steakhouses and themed restaurants. There was a lot of British type places to eat too if this is more your thing, but when we go abroad we like to try different food and I wouldn't want to eat a roast in the Spanish sunshine. Plus if you have picky eater children (like I do) then there was the usual Mcdonalds, Subway, Burger King etc plus lots of places would happily cater to children's tastes and had very child-friendly meals on the menus - nuggets, burgers, pizza etc. There were so many great places to shop on the island, from tacky tourist type shops - which I secretly love and end up buying magnets for everyone! To leather shops, perfume shops and traditional Spanish shops, myself and my teen loved the shops in Majorca. A visit to the capital Palma is well worth the trip as it is full of names like Mango, C&A (remember them? ), Lacoste and so many lovely shops to explore. Plus Palma is a wonderful city that you really must visit if you're on the island. Everyone we met was so friendly and welcoming of tourists to the island. A lot of the locals spoke really good English too which made it easier for the children to communicate with them, although my 3 year old just said gracias to everyone in sight! One of my favourite things about Majorca is the sunsets, they always look so much more beautiful than any I have ever seen at home or when visiting other countries. The children loved strolling along the beachfront on an evening watching the sunset, truly magical moments we will treasure forever. The main reason I love Majorca so much is that it is just a beautiful island, full of greenery and beautiful beaches. Every time I visit I fall in love with it a little bit more as it is such a beautiful place and there is so much to explore and discover. So those are some of the reasons I think Majorca is the perfect family holiday destination. Have you ever been to Majorca, if so what do you love about it? I would love to know in the comments below. Oh we love Majorca although we have never been as a family. We will definitely consider it for next year. This is somewhere I would love to take my son. As it has a reputation for being so family-friendly, it would be perfect for someone travelling alone with a child. I've never been to Majorca before, it looks beautiful. I would love to take the girls, it looks great for families! Majorca is a lovely place to holiday - it is so beautiful! I've never been as a family though, its definitely something to consider. I have never visited Majorca before. I would like to one day with the fam. Love the tips here. I’m dying to go back. We love it too! It looks like the perfect holiday destination AND it’s affordable! What am I doing!